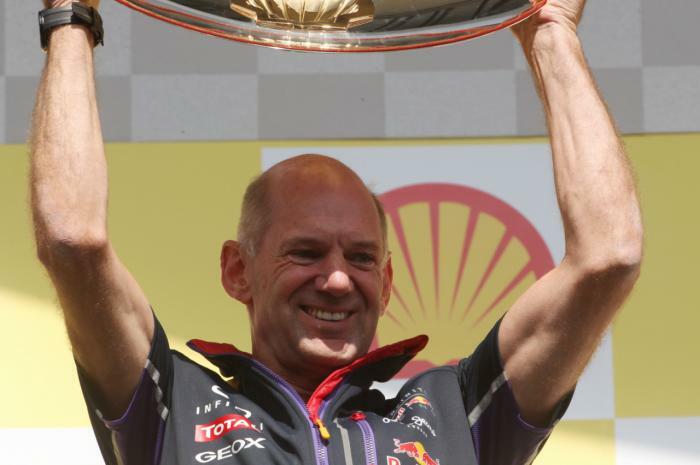 A big change to the regulations could convince Adrian Newey to return to full throttle in formula one. That is the claim of Red Bull team boss Christian Horner, who insists Newey's step backwards to work on other technology projects is actually a good opportunity for other engineers to show their worth. It is obvious, however, that the highly-rated Newey made the decision to step back due to his frustration with the ever-tightening chassis rules. "This (RB11) is the first car in my formula one career that hasn't had my sole attention, time-wise," he admitted at the recent Jerez test. "But all of the major packaging I have been heavily involved in, and some of the details as well," Newey revealed. He hinted that his interest in F1 design waned due to the technical rules, where modern cars all resemble one another and the biggest performance differentiator in the new turbo V6 era is the 'power unit'. "Very much so," said Newey. "In truth it's a very difficult compromise in terms of having relatively open regulations that can cause excessive spending, but I don't really buy that because we have wind tunnel and CFD restrictions. "But I think there's been a fear that with overly open regulations, one team might get a big advantage over the others. "I think that's gone the other way now. The blend, in my opinion, should be driver, chassis and engine, and at the moment I think it's very much skewed towards the engine. "The chassis regulations have become over-restricted, and the problem for us is that the cars all look the same, and it's difficult to differentiate from my point of view as designer. (It's) difficult to find new avenues. "I do feel we have become over-restricted," Newey admitted. However, a big topic of conversation behind closed doors at present is a potential radical change in regulations for 2017, involving not only the move to 1,000 horse power engines but also vastly different-looking cars. If that does happen, Horner thinks Newey might be tempted to return to F1 full-time. "If the regulations change and become a little more open and attractive," the Red Bull chief is quoted by Brazil's Totalrace, "it might sharpen his appetite."